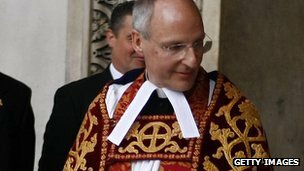 A letter urging Prime Minister David Cameron to get rid of work assessments for the disabled has been signed by the dean of St Paul’s Cathedral. The Very Rev Dr David Ison was among campaigners to claim the tests could “cut short” disabled people’s lives. The letter also called on ministers to address the “shameful offences” of austerity measures. 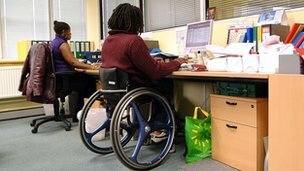 The letter, titled The Downing Street Demand, called for an end to work capability assessments (WCA) which “demean and distress” disabled people. It stated that government policies forced some of the most deprived members of society to “shoulder the heaviest burden of national debt created by the super-rich”. For those of you who haven’t attempting to recruit from the Job Centre in recent years, you may be unaware that it has been absorbed. The name is now misleading as the department covers national insurance numbers and benefits rather more than jobs. There is a website heading “finding a job” but rather surprisingly the first section offered on this is how to complain about the job centre. Conversely, to advertise your position, you will have to delve into the sections headed elsewhere on Gov UK and look for help for recruiters. And help you will undoubtedly need. Should you persevere and advertise your position – perhaps an admin assistant with good typing skills based in Hemel Hempstead – you will then be amazed to find your area of the site awash with CVs of assorted skills, few who type, most of whom live from John O’Groats to Lands End and firmly confirm they will not locate. If you persevere and make contact with the best, you will find some you have selected carefully have no contact details for you to use, while others sound panicked by the mere suggestion of interviews and you will undoubtedly never hear from them again. You may notice a similarity to some of the CVs. This is due to the advice from the job centres themselves on how to write them, which has resulted in you receiving a multitude with the same cliché ridden enthusiasms on the excellence of their team-playing skills and goal orientation. If you have been brave enough to advertise your direct email, you will have receive a selection showing the classic blunders. The largest group are usually the ones where the covering email professes to be particularly selecting your company as one they want to work for – yet shows the emails of every local company under the sun in the CC addresses. However passionate they are about the possibility of a career with you, many also stop short of any tailoring to the job advertised. You may also blanch at the email addresses that are suddenly descending on your inbox – shadesofgrey99@hotmail.com or spawnofthedevil@btinternet.co.uk are not the most appealing propositions. I was cheered to see somewhere recently that my time allocation of a minute per CV to make a first round decision is about average. The length of some are simply stunning. I have seen them list several pages of jobs – and this is not the in depth descriptions but simply positions and dates. I had one recently that took a good three pages to describe in some detail how the applicant had been unappreciated and mistreated in all their previous positions and intended taking the last employer to tribunal as soon as possible – all the more amazing in a small town where local companies tend to know each other. The reason for all this excruciating time wasting of the recruiter is of course the tightening up of the benefit system, resulting in a wide variety of people who have no intention of working being enforced to send off their CV ad hoc, with no likelihood or intent of success. I am saving him for Halloween. 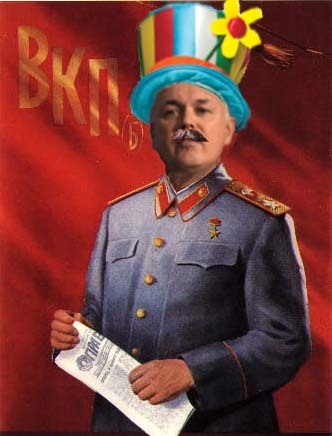 In yet another astonishing outburst from the DWP, tin-pot dictator Iain Duncan Smith is treating the laws of the land with utter contempt and demanding that local authorities ignore a recent Bedroom Tax court decision. Earlier in the month a first-tier benefit tribunal judgement ruled that a room of less than 70 square feet should not be considered a bedroom for the purpose of the Bedroom Tax. This important judgement against Fife Council led the local authority to call the bedroom tax ‘unworkable’ and demand it should be scrapped. This ruling was immediately seized upon by campaigners who rightly demanded that their own local councils introduce Bedroom Tax policies in line with the ruling. Chris Burton, of Gunson Street, Miles Platting , has been racking up debt ever since the benefits shake-up and is now more than £200 in arrears. He says he never wanted the ‘useless’ second room and reckons 35 other tenants will have lost out after their homes were upgraded in 2009. Now he is appealing to a tribunal judge to rule that his benefits should be based his original tenancy agreement, which says he has only bedroom. Mr Burton, who suffers with mobility problems and is registered disabled, said he believed the case could be a landmark for thousands of others in his situation. Mr Burton’s flat is run by social housing group Adactus on behalf of the council. The bedroom tax – which the government calls the ‘spare room subsidy’ – means tenants lose up to 25 per cent of their housing benefit if they have unoccupied bedrooms. Manchester council are responsible for administering the deduction but say they have no power to re-interpret the strict government guidelines. However, housing bosses say they sympathise with the situation and have promised to cover the arrears until a solution is found. But Mr Burton, 41, says the council was wrong for lumping him in with those liable for the deduction and is also suing the council for £1,500 for the ‘stress and inconvenience’. The hearing will take place at the Manchester Civil Justice Centre on October 21. A council spokesperson said: “Mr Burton has submitted an appeal against his housing benefit after his claim was reassessed due the introduction of the government’s spare room subsidy. A BLIND man who was forced to take early retirement 12 years ago was left in shock when he was told he is now fit to return to work. Richard Alcock, of Craven Street, Bury, attended an assessment which ruled he was no longer entitled to employment support allowance. The 62-year-old has been registered blind from being 18-months-old, and is originally from the West Midlands, moving to Bury two and a half years ago. Mr Alcock lives with his wife Rachel, aged 64, who is also blind. After working in local government for 30 years, Mr Alcock was forced to take early retirement when he could not adapt to the increased use of computers in the workplace, and was not provided with the appropriate equipment to enable him to continue his work. Mr Alcock has received incapacity benefit for the past 10 years, but faces the prospect of this being removed unless an appeal is successful. ATOS Healthcare carries out disability assessments on behalf of the Department for Work and Pensions (DWP), and those who are claiming benefits as a result of a disability or injury may have to attend an assessment. A DWP spokesperson said: “It is important that we don’t simply write people off. There is strong evidence that working can be beneficial for many people who have a health condition. But we also want to ensure those who need it get the right support, which is why a decision on whether someone is well enough to work is taken after consideration of all the supporting medical evidence provided by the claimant. Disabled people have won the right to appeal against the controversial new “bedroom tax.” An appeal judge has ruled ten test cases should be heard, as they raise issues of public importance. The cases are said to illustrate the serious impact of the regulations on disabled people living in social housing across Britain. The appeal is against a High Court decision in July upholding the legality of new housing benefit regulations critics say are unjustified and unlawfully discriminate against the weak and vulnerable in society. The regulations, introduced on April 1, led to reductions in benefit payments to tenants assessed to be under-occupying their accommodation. Under new “size criteria”, tenants with one spare bedroom have had a payment reduction of 14% and those deemed to have two or more spare, a reduction of 25%. The Department for Work and Pensions (DWP) rejects the “bedroom tax” tag and says the reality is that “a spare room subsidy” has been removed from social sector tenants. It says local councils are being given discretionary housing payment funding so that they can help vulnerable residents with all the welfare housing reforms. It says this includes disabled people affected by the removal of the spare-room subsidy. DWP lawyers contend reduction of rising housing benefit expenditure is a legitimate and “integral aspect” of the Government’s deficit reduction programme. The change in regulations is expected to produce savings of £500m a year. An unemployed man who hadn’t eaten for three days tried to set fire to the job centre – so he could have a meal in police custody. Bee O’Brien, 49, flew into a rage after a row over his benefits payments and set fire to the customer telephones at Moss Side job centre. O’Brien had not eaten for three days after his benefits had been stopped. O’Brien, of Camelford Close, Hulme, admitted criminal damage, attempted arson, and using threatening words and behaviour when he appeared before Manchester magistrates. Helen Veitch, prosecuting, told the court: “A member of staff at the job centre noticed he was arguing on the customer services advice telephone. He was noted to be aggressive and abusive. “He was asked to leave the job centre, and was told the staff would phone police. She said the member of staff then ‘heard a clicking noise’ and saw O’Brien with a cigarette lighter. He was detained but carried on being abusive in custody and hurled hot chocolate all over his cell.